Encomiums for the triumphs at times make us forget the wounds of defeats. But the defeats always bring out the best from a champion. Mahendra Singh Dhoni, a champion who never showed to be one, hung his boots in the longest format of the gentlemen’s game today. And he did it in his style; calm, sudden and unannounced. More than two decades ago, a young lad in Bihar turned to sports as his companion. He started his cricket career by playing for Bihar. India had won a world cup by then. There wasn’t much other than that to boast off. Team was failing miserably overseas. They were invincible at home. A few of the batsmen were feared globally. The batting collapse was a normal affair. Board didn’t have money to reward its players for winning the world cup. Bowling lacked penetration. Today, India is struggling at 7th position in test ranking. Team is struggling to win overseas. Home record is as astounding as ever. A few of the batsmen are feared everywhere. Bowling attack is still searching for a leader. The great Indian collapse is still as evident as ever. What has changed during all these years then? BCCI is now the richest cricket board in world cricket. Bihar Cricket Association has been defunct. India won its second World Cup under the captaincy of that lad. Champions Trophy was brought to home. T20 World Cup was ours. And India became the no.1 side in the longest format of the game. And Mahendra Singh Dhoni had a major contribution in most of the above mentioned triumphs. But today, when he left, team had been at its lowest in a long time. Glory doesn’t last forever. The folklore does. Mahendra Singh Dhoni played an important role in fulfilling most of the dreams an Indian Cricket aficionado could see. And that would go on as folklore. When Dhoni took up the captaincy, he had a team that had potential to win against the best. Saurav Ganguly had a major contribution in the formation of that team. When Virat Kohli would step into the field as the captain of Indian boys in whites, he would be leading a team that has potential to reclaim the Indian dominance over the cricketing world. That’s the legacy MS Dhoni has left for him. 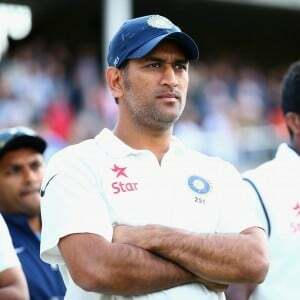 MS Dhoni has formed that team. MS Dhoni’s heroics as a captain have been talked about in detail by many. 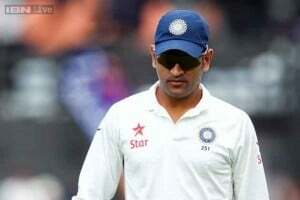 But today, when he left, the sense of dissatisfaction among the believers of Indian cricket was quite apparent. Many thought, he should have stayed as a player at least. But, MS Dhoni’s decisions are best understood by him. He was as cool as ever in his stay on the crease. He played to save the game for India. He played with responsibility. He didn’t let a billion Indians have even a slightest of idea what he was going through. His team was not performing. He was constantly under fire. But he stayed till the end and ensured that India ends the year with a draw. There weren’t many emotions shown. There was no announcement. Neither a farewell walk did he ask for. He played and carried his bat. India had lost the series. He had the reasons for a long walk into the dressing room. Little did we know that, he was walking through the greens for last time in Indian whites. That was the last walk of a leader who always led with an example. His decisions were impromptu. Was this also one of the same kinds? Only the time will tell. He played I his own manner and left in his own. For now, we can thank him for beautiful memories he gave us while holding the cap number 251 with pride and dignity. He has seen a leader in Virat Kohli. We should believe in him and hope for a better cricketing year 2015. Thank you Mahendra Singh Dhoni. You were raw in your game, and so were you in your life. A selfless human being, who never cared for accolades but dreams of his nation. Now bring back the World Cup 2015.